« How wrong is it to do your child’s homework? That is so great! 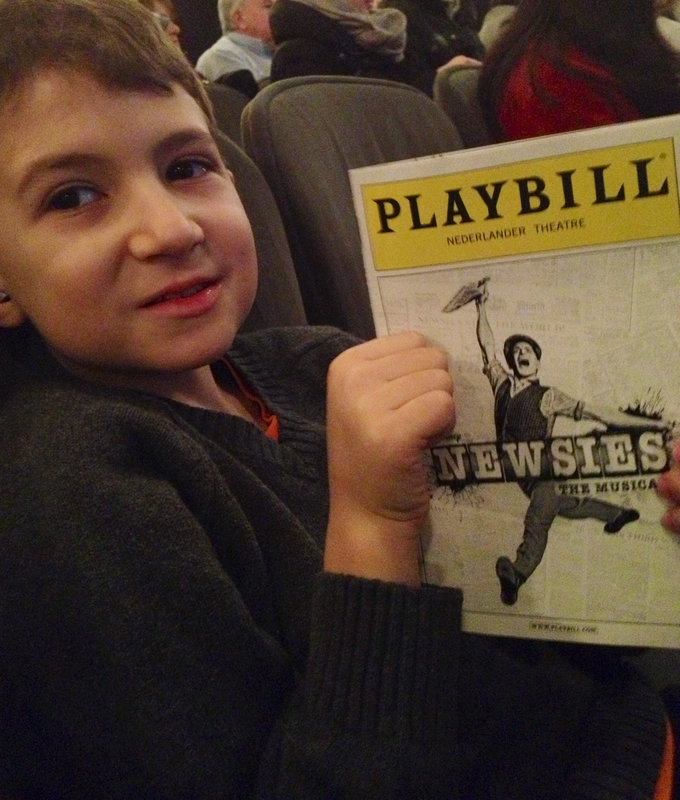 Did you know I was in the NEWSIES company? I was wondering if you got a backstage tour when you were there. If I had known, I would have given you one. If you come back (or want to stop by when the show is letting out, I could show you around. How old is Brooks now? My son, Sam, is nearly 17, and a junior at LaGuardia HS. Mercifully, he does not want to act, and is a bass player in the Instrumental Music program there. He’s a big Classical Head. So in that regard, he takes after his mom. Glad we’ve managed to pass on our passions to the next generation.